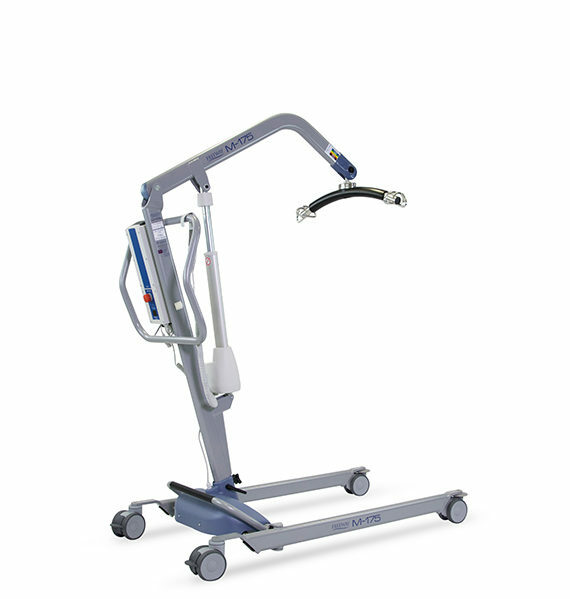 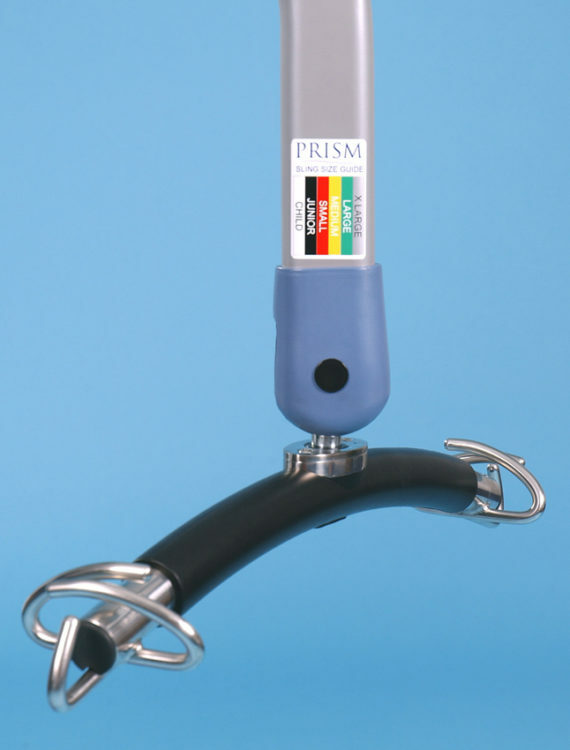 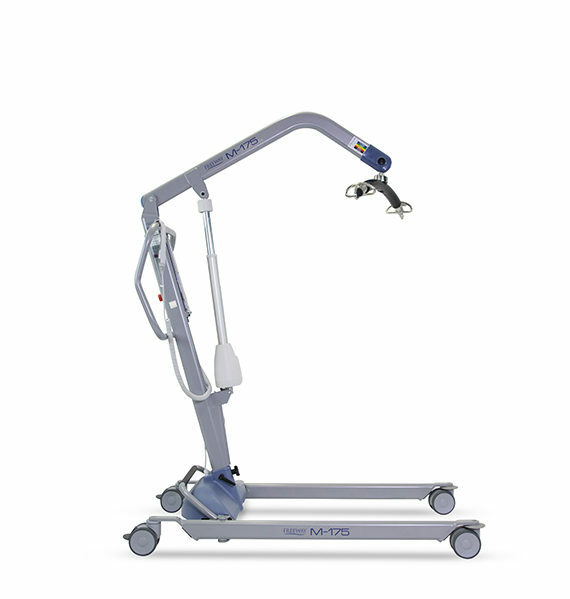 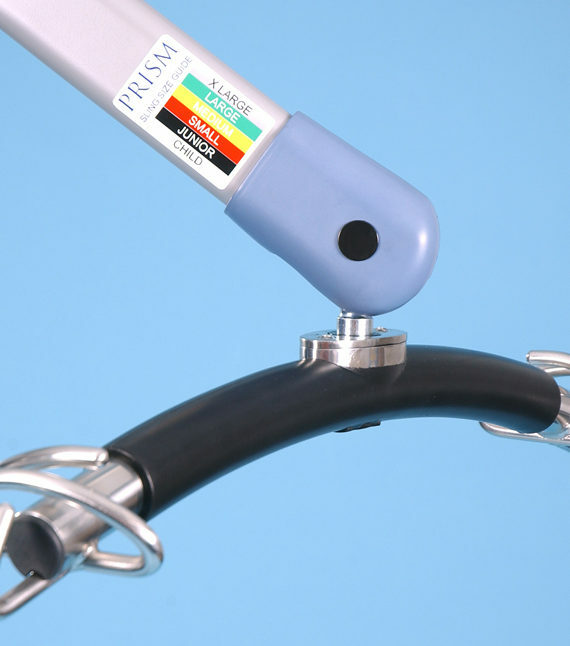 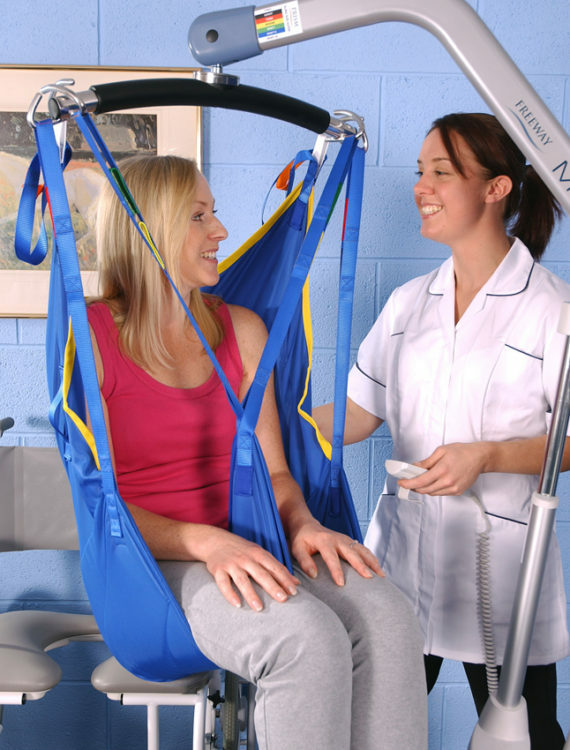 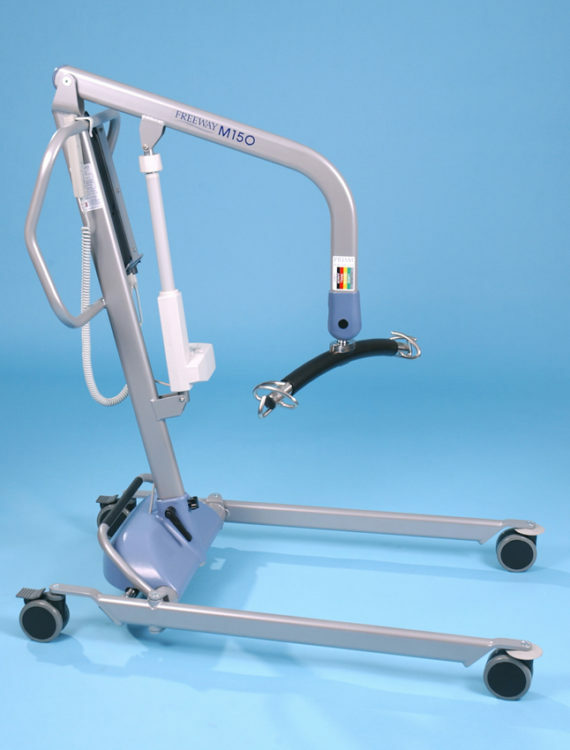 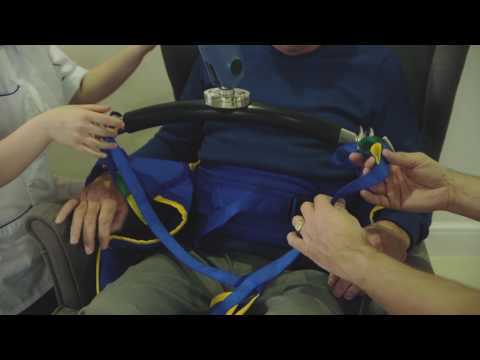 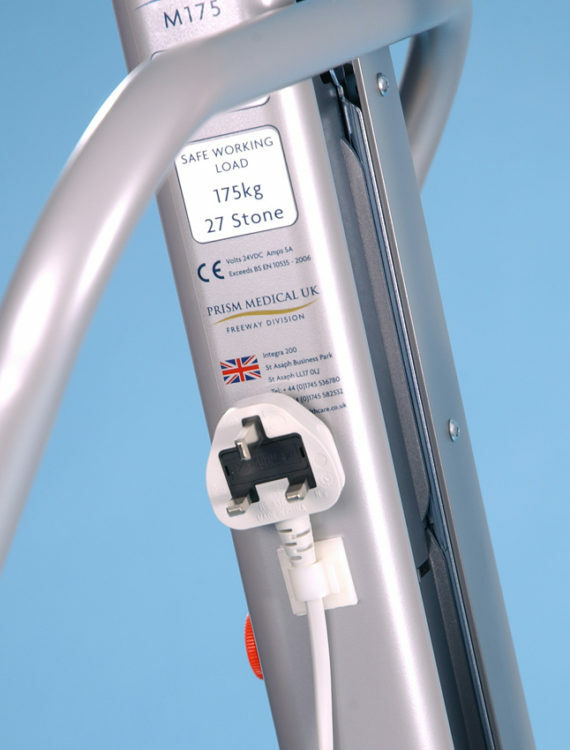 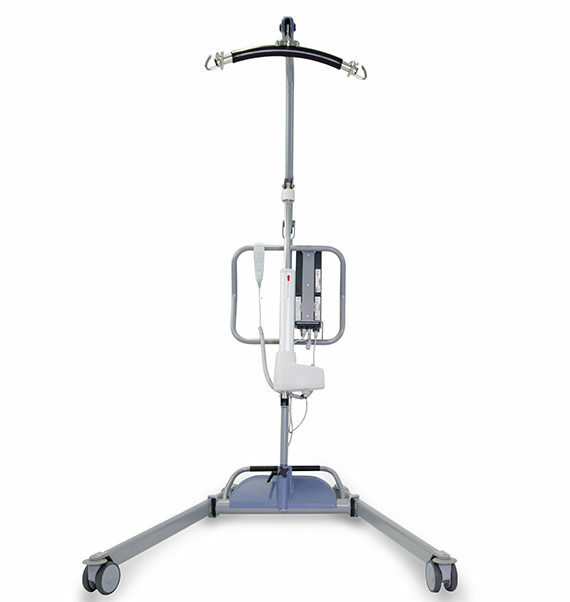 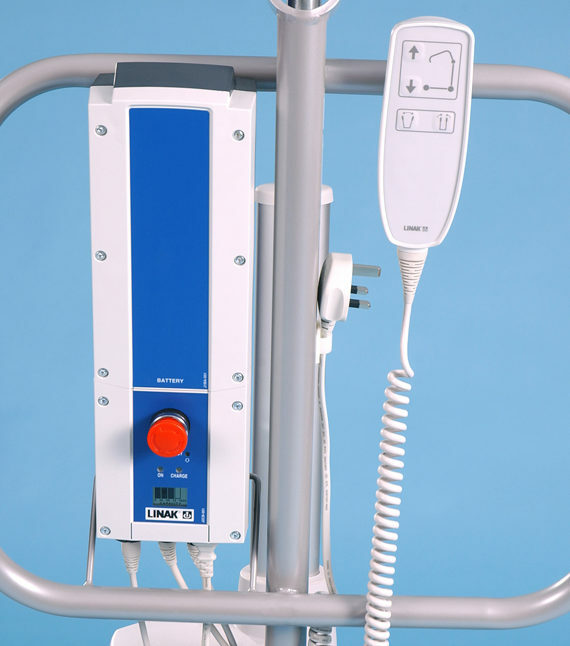 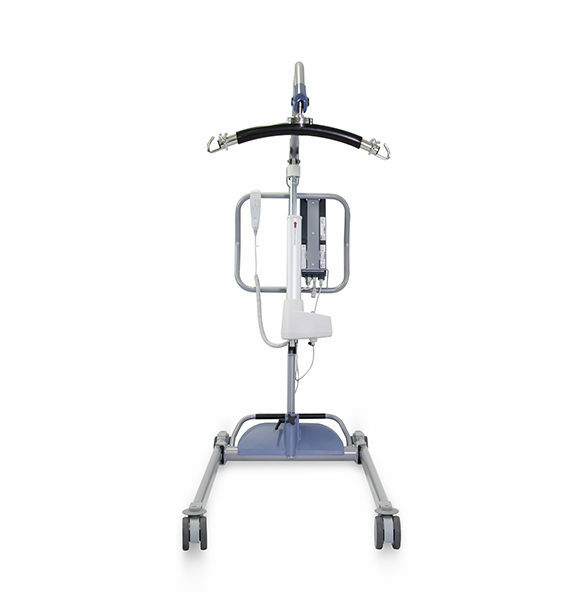 The Freeway M-Series Steel Mobile Hoists, exclusively manufactured by Prism Medical UK are the result of years of experience in developing, manufacturing and supplying hoists, combined with the knowledge gained from working closely with the professionals and caregivers who use them. 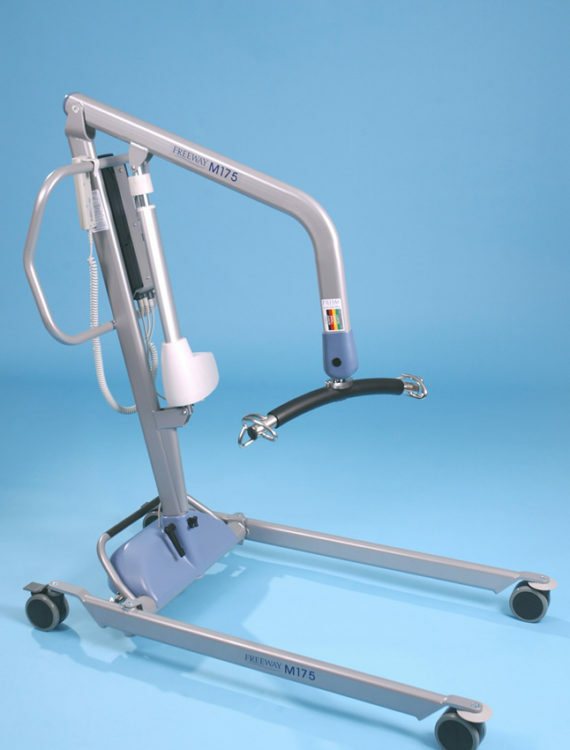 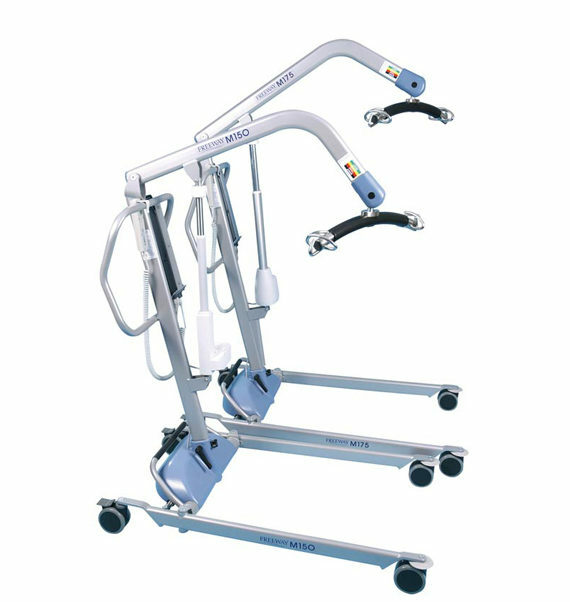 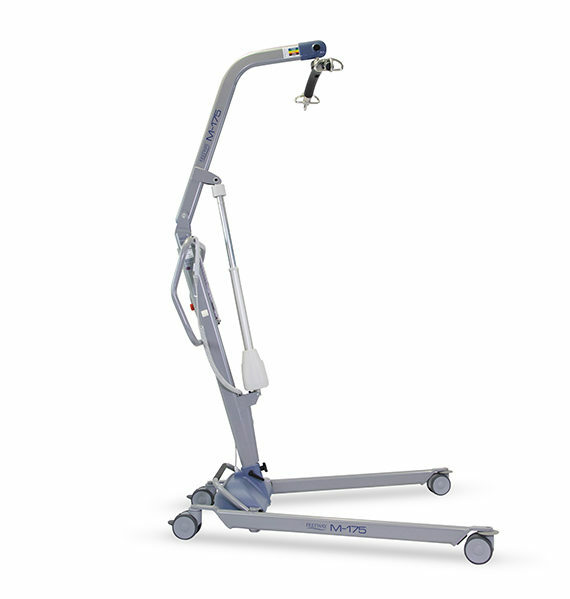 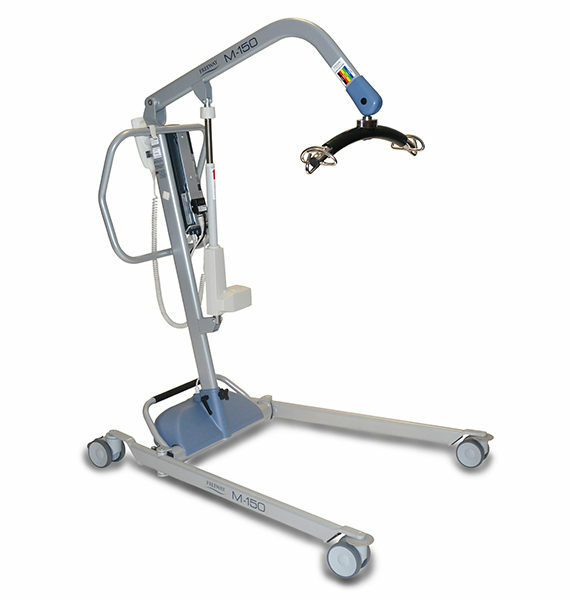 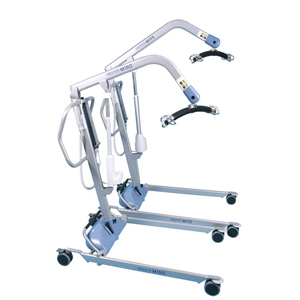 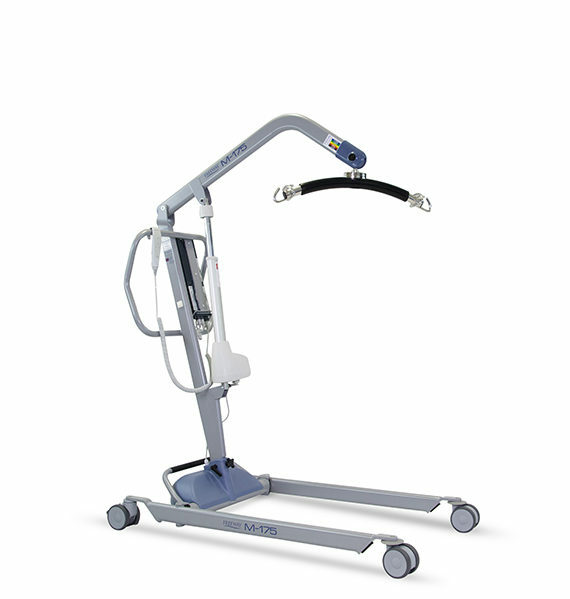 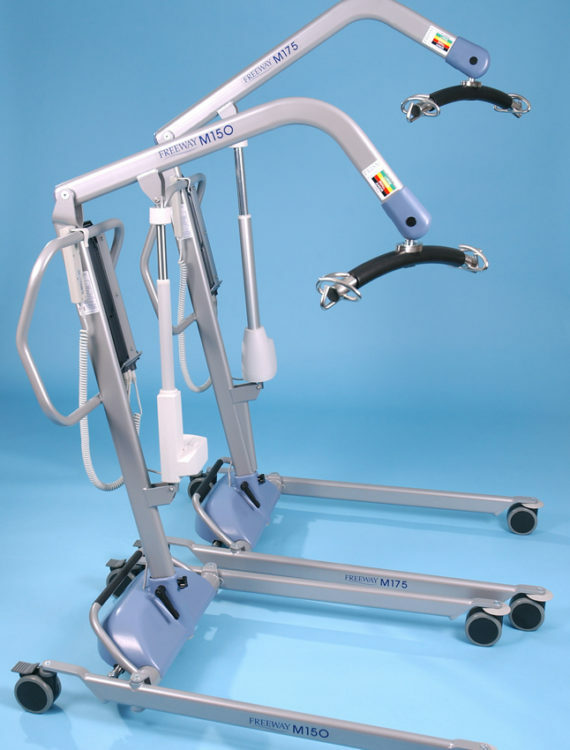 Every aspect of M-Series Steel Mobile Hoists have been designed to make lifting and handling easier and safer for both client and caregiver. 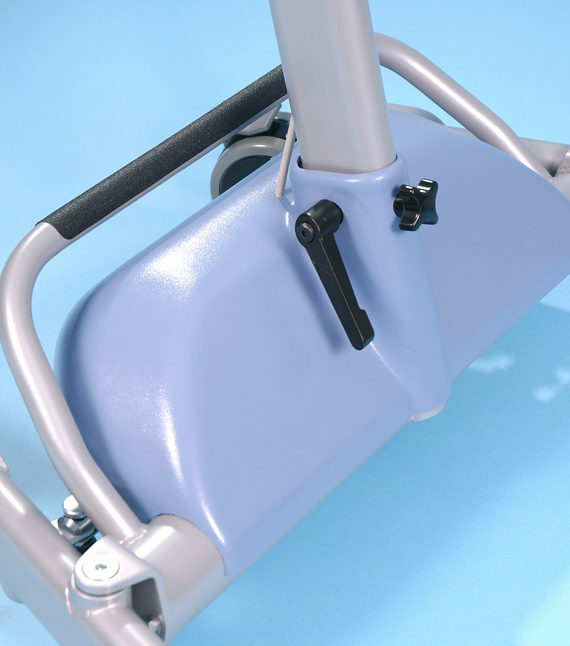 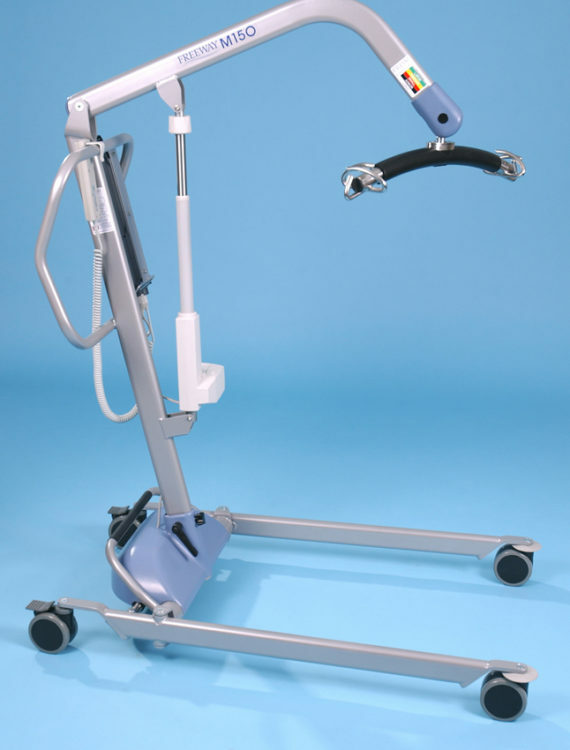 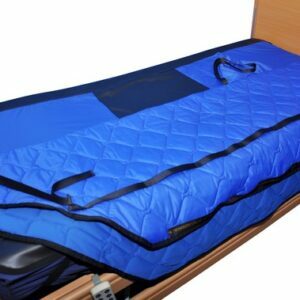 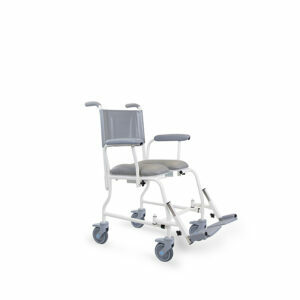 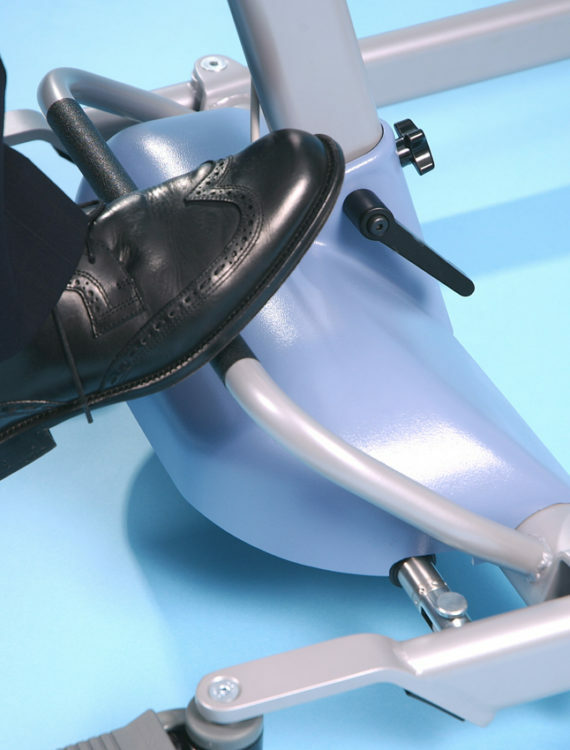 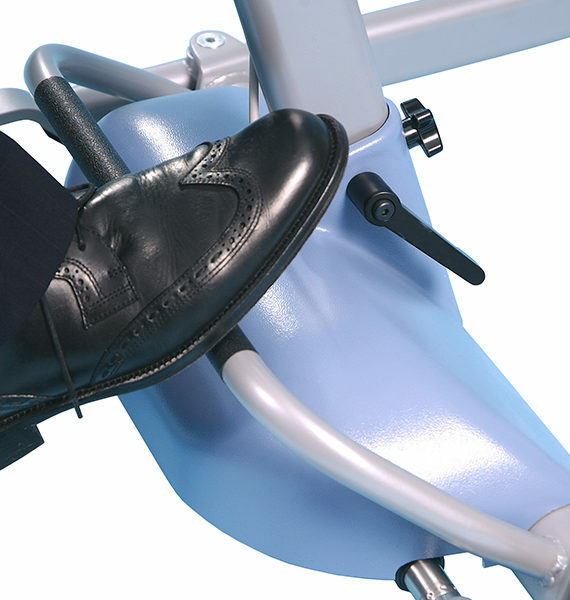 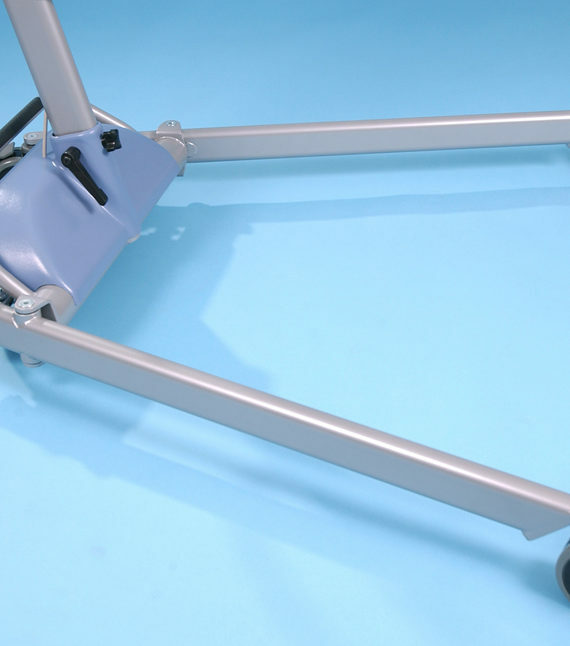 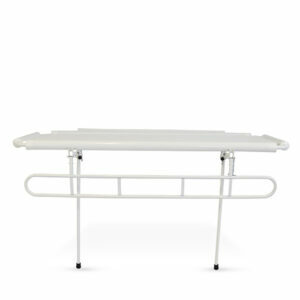 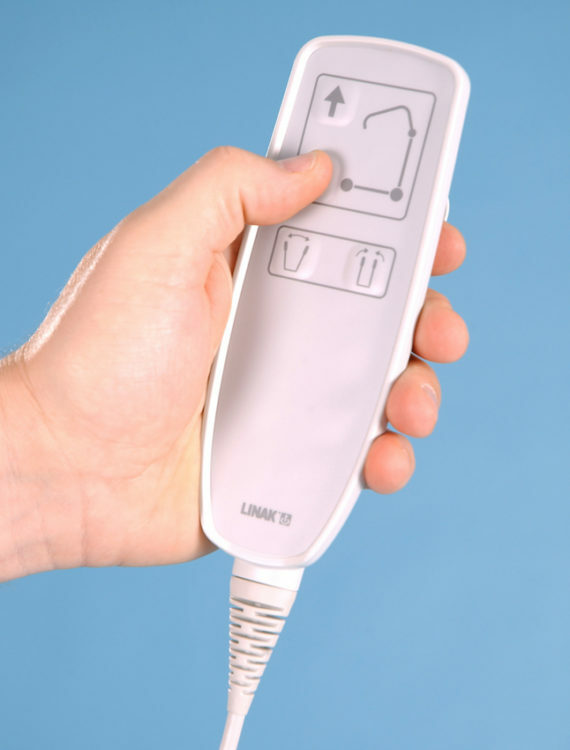 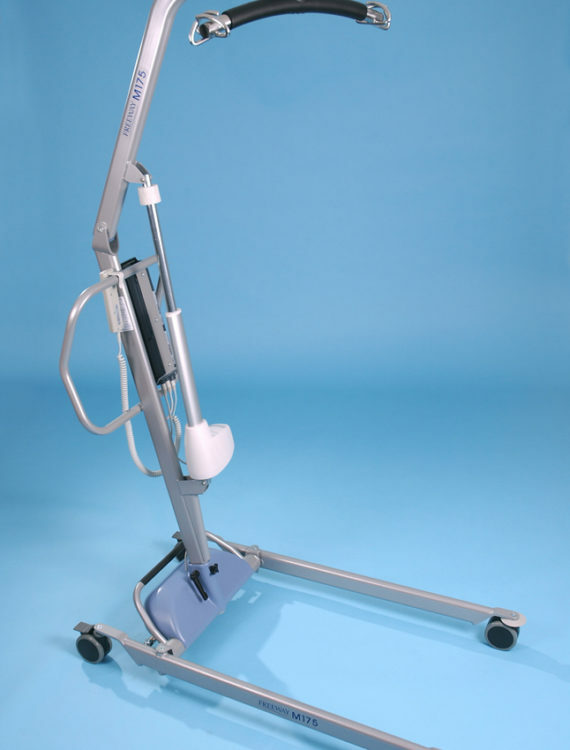 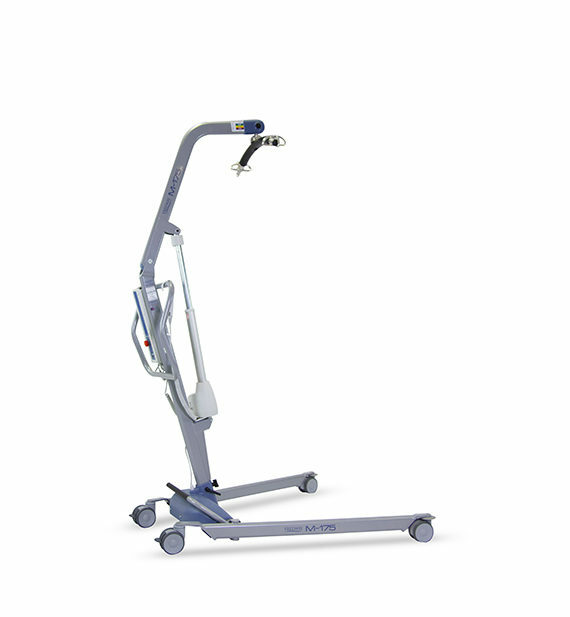 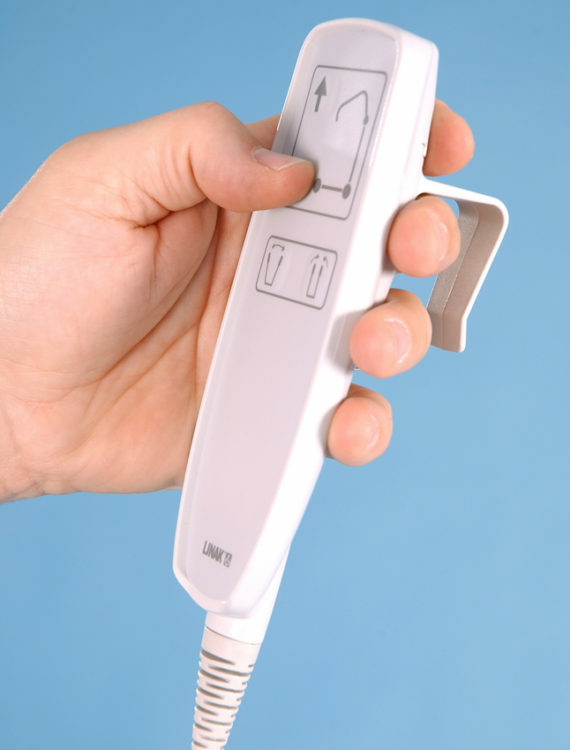 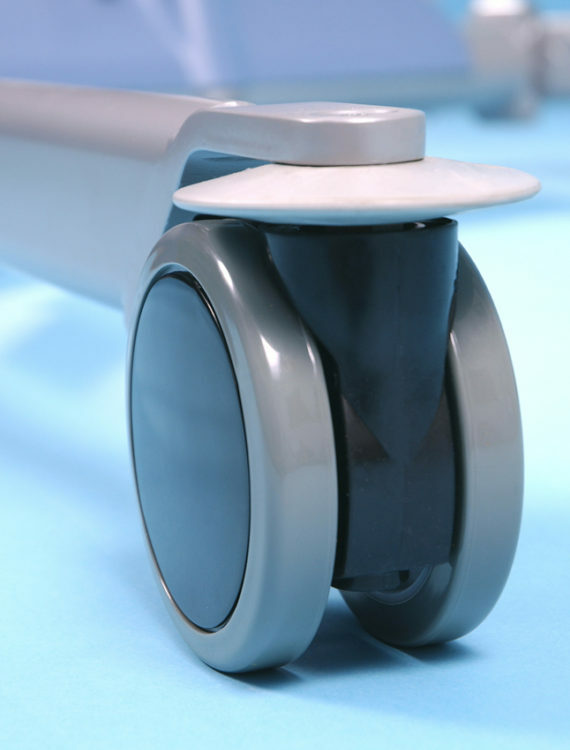 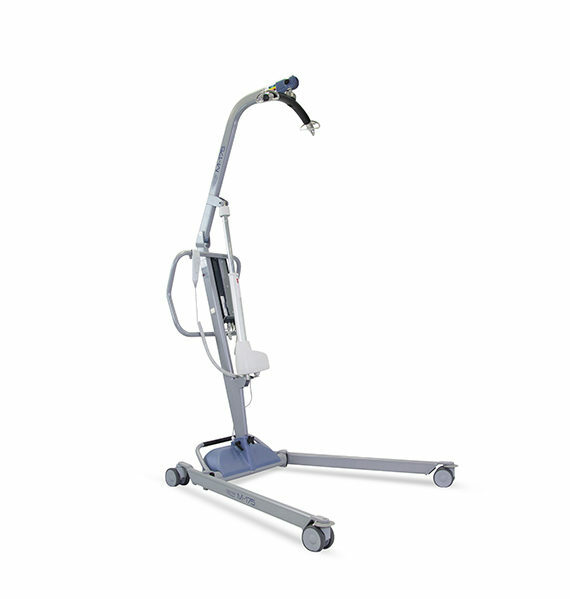 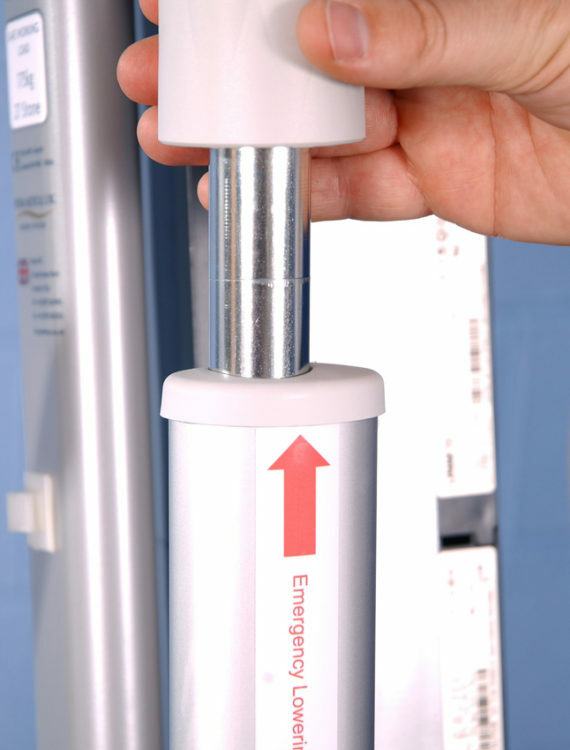 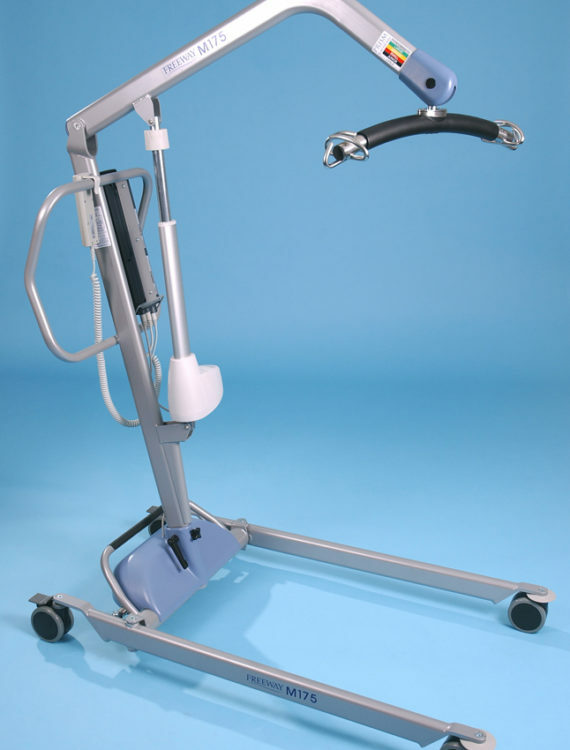 Its compact, ergonomic design makes it perfect for use in community or nursing environments. 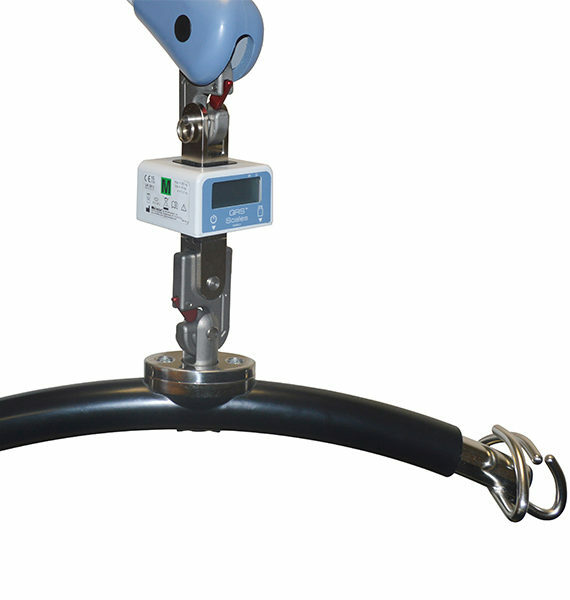 There are two variations of the Freeway M-Series Steel Mobile Hoists – the M-150 and the M-175 which each equate to the maximum lifting capacity (in kg) of the hoist. 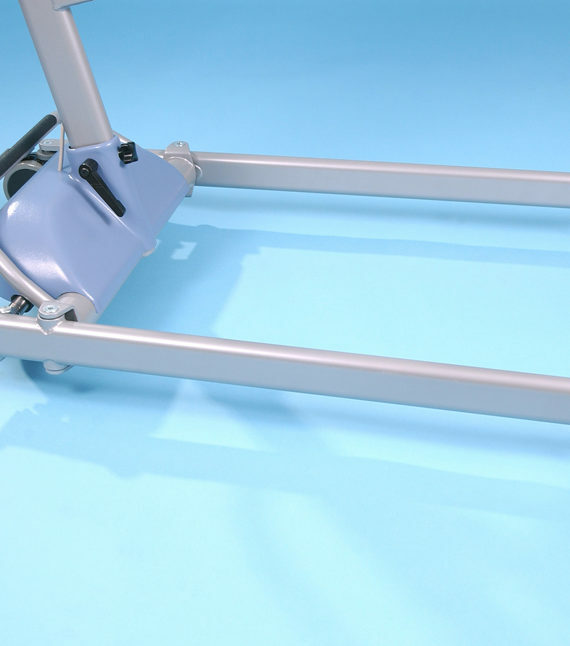 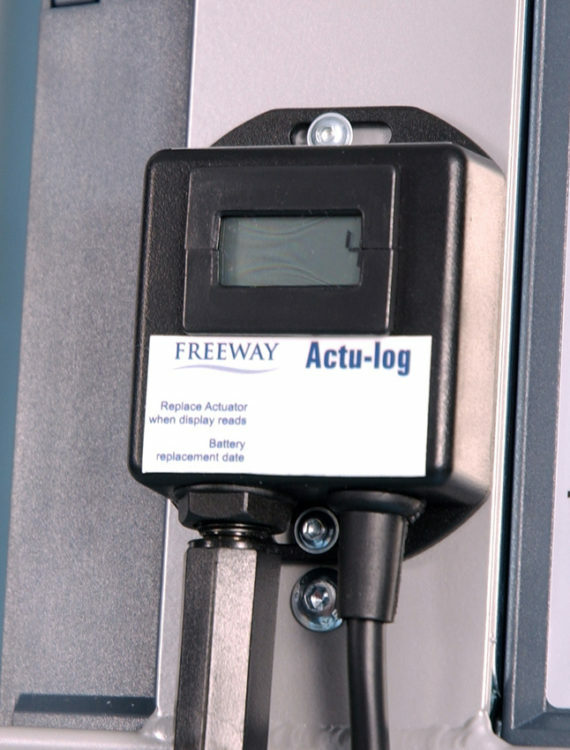 Now available with the option of the Freeway Quick Release System (QRS®) which allows carry bars and weigh scales to be safely and easily attached/removed without the need for tools. 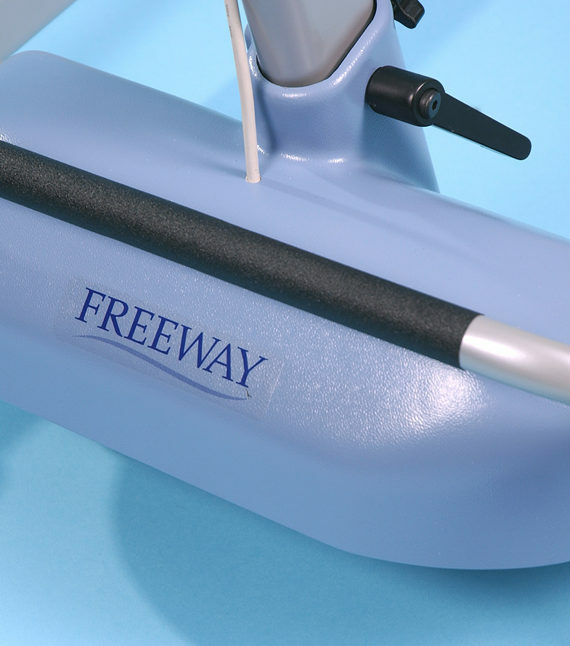 The Freeway M-Series features on board charging as standard. 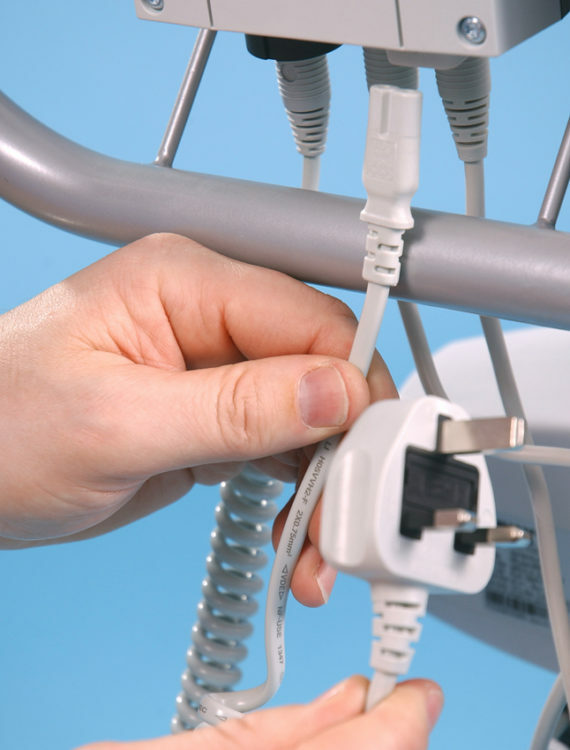 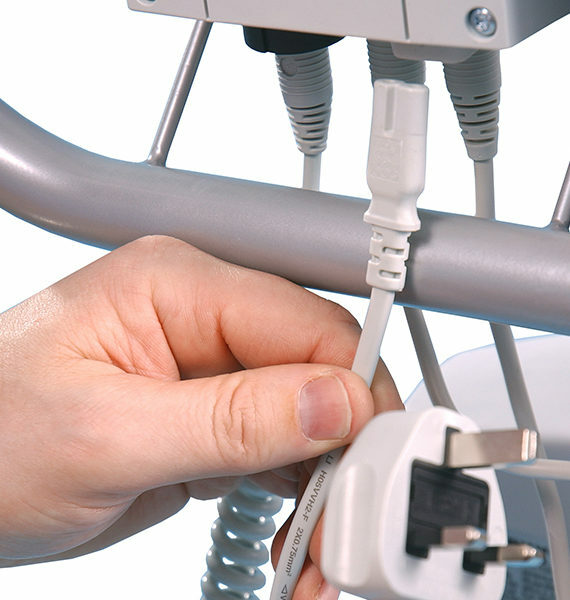 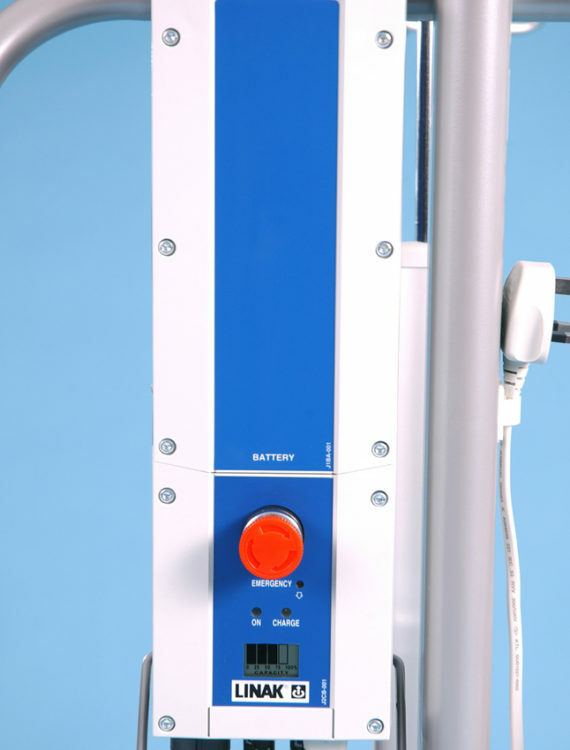 To further increase the versatility of the hoist, it is also available with off board charging for those who prefer to charge the battery pack at a separate location away from the hoist. 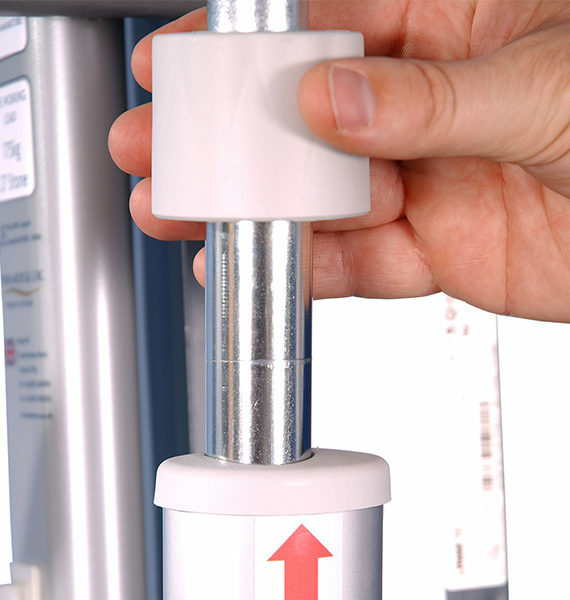 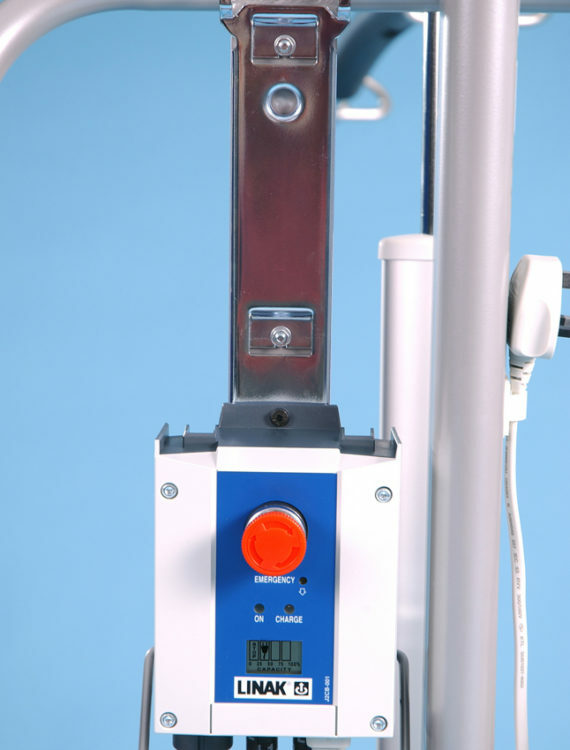 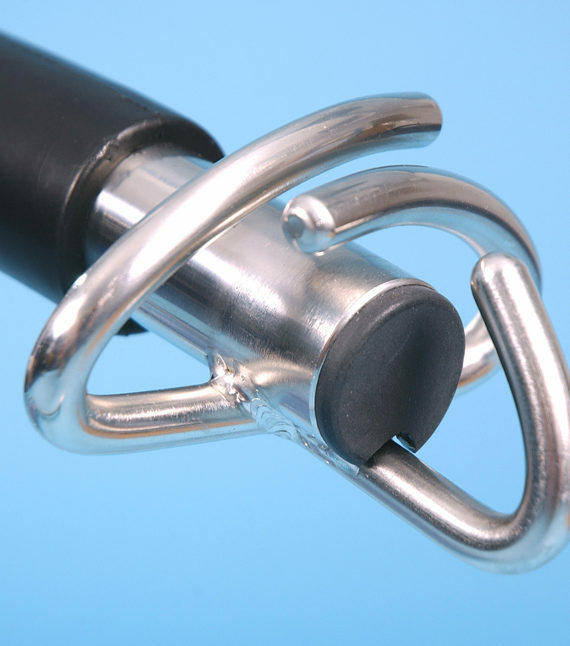 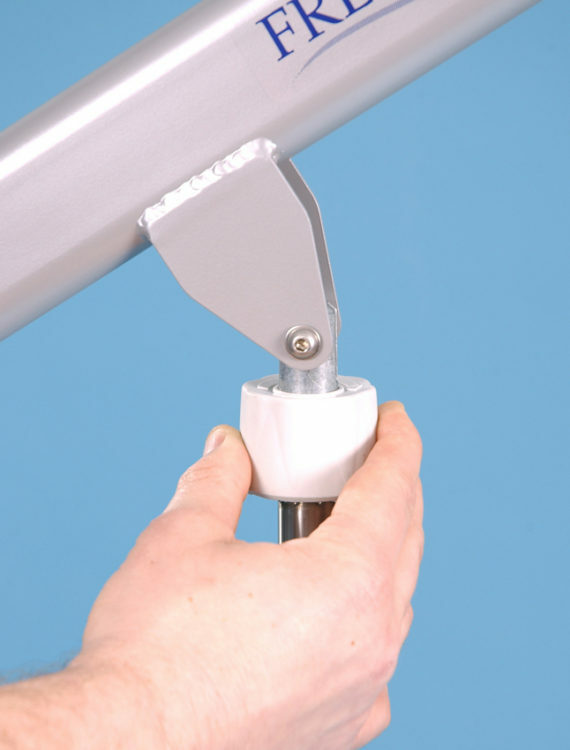 Coating of the hoist includes FREECOTE®, our unique antibacterial and antimicrobial coating.